Bringing visual art to the public, Glasgow’s Open House Festival returned for its second year. Running May 2 – 4; the weekend saw local art installed in everyday buildings. The festival provided a platform for (emerging and established) artists to open their practices, and sometimes homes, to new audiences. By removing art from conventional spaces and embedding it in infrastructure Open House gave a second perspective of Glasgow. Turning heads in the Savoy Centre was photographer Tine Bek. 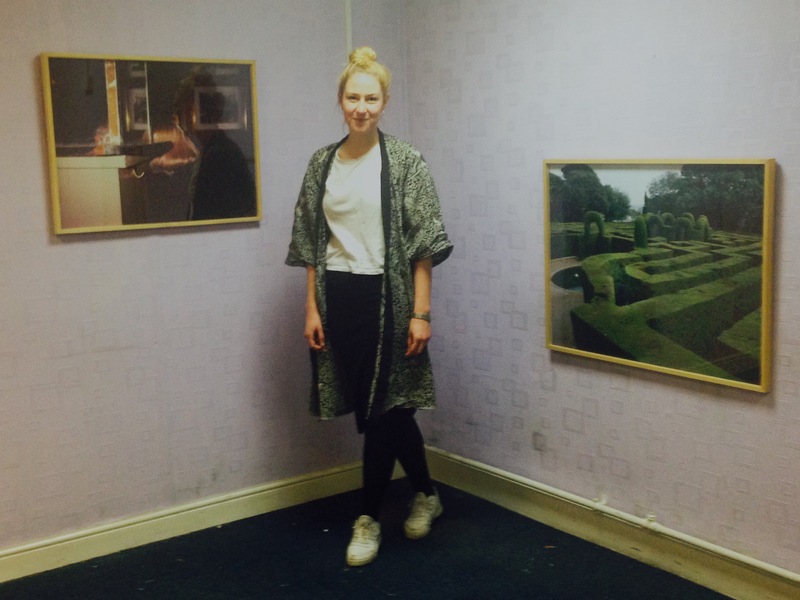 She and fellow artist, Scott Caruth, made the ‘Twofold’ exhibition in Savoy Centre disused units. In Twofold Bek and Caruth presented work developed during artist residencies abroad. Bek was ‘artist in residence’ in Buenos Aires, and Caruth was one in Modena. Caruth mused on the legacy of the 70s Italian movement ‘Autonomia’, while Bek examined the Baroque period and its influence. Bek describes the baroque as both a period in design and as a philosophy on duality. Bek’s work showed this conflating illusion and reality, light and dark and time and space. These contrasts worked well in Twofold’s unusual setting. Opportunity has also arisen in her partnership with Caruth. This natural development of talent was the founding principle of Glasgow Open House (GOH) an artist-led, not-for-profit group, established by GSA alumna Amalie Silvani-Jones, in 2013. Since its founding, GOH has helped grassroots artists circulate their work. This ethos was then enshrined in the Glasgow Open House Art Festival 2014. The 2014 festival showcased 80 artists, however a year later the festival had grown and included new ‘Art Walks’, touring its exhibitions. Specially commissioned flags were made (in partnership with Project Ability and COLOUR HOTEL) to adorn Glasgow buildings, pinpointing the art. Artist work and details of the 2015 festival can be viewed at the Glasgow Open House Art Festival website.